The memories of my first born getting to know his baby sister are forever etched in my mind. From the second she arrived home from the hospital, he watched her in awe and stood proudly beside her. He tried to include her in his games and delighted when she began to smile and giggle at his antics. I had been warned by friends and parenting magazines that just-under- 2 year olds boys do not always react kindly to the intrusion of a baby sister into their world. I was prepared for the worst. To my delight, I spent those first few months of my daughter’s life witnessing a beautiful bond of love develop between my two children. Those same friends who had issued dire warnings now commented on how much my children loved each other. Noting the damage done when the bonds of brotherhood are broken due to sin and selfishness, the Holy Father cited the story of Cain and Abel from the book of Genesis remarking that this is “something awful and also evil for humanity.” He urged his audience to pray for a healing of divisions within their own families. 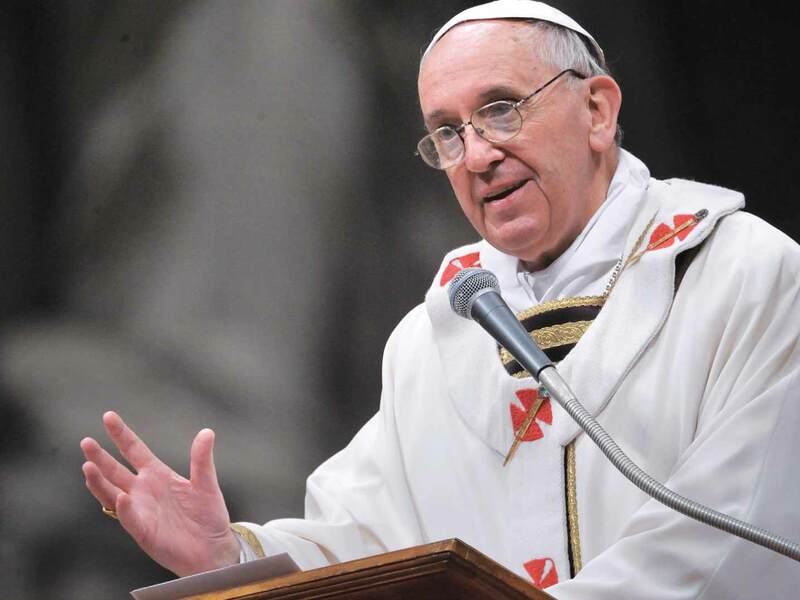 Echoing the words of Jesus in the Gospels and the perennial teaching of the church, Pope Francis also likened the natural bond between siblings to the experience of Christian brotherhood: “To have a brother, a sister who loves you is an intense experience, invaluable, irreplaceable. The same thing happens with Christian brotherhood.” The Pope marveled at the fact “that all brothers have dwelt in the womb of the same mother during nine months. They come from the mother’s flesh! And brotherhood cannot be broken.” It is the same with Christian brotherhood. It is in the “womb” of the Church that we share this bond brotherhood with other believers. Together, through our life in the Church, we are taught the truths of our faith, are both confronted and comforted in our struggles, forgiven our sins and fed with the true food of our Lord in the Eucharist. “Two by two” we are sent out as brothers to witness to the world the salvation our Heavenly Father offers to all mankind. The early Christians’ love for each other went far beyond pious sentimentality. Their love was tangible and practical: they took care of the sick, the widows, the orphans and the strangers both materially and spiritually. Those who witnessed their love could not help but be moved by what they saw. The witness of authentic Christian brotherhood had the power to bring people to conversion in Christ. As my children continue to grow, those initial months of blissful sibling love have given way to the usual squabbles of childhood. In spite of these, my husband and I try to foster true Christian love among our children, encouraging them to help one another, to ask for forgiveness humbly, to forgive each other generously, and be of service to others both inside and outside our home.